An agency report said on Tuesday that daily drinking of alcohol increases the risk of its related liver cirrhosis, a new study found. 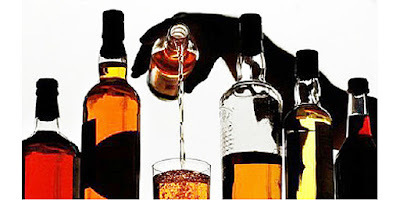 It is generally believed that overall alcohol consumption is the major contributor to cirrhosis. But, these new findings suggest that how often you pour yourself a cocktail or beer – as well as recent drinking – plays a significant role, the researchers said. Cirrhosis, scarring of the liver, is the final phase of alcoholic liver disease, according to the U.S. National Library of Medicine. In men, drinking every day raised the risk for cirrhosis more than less frequent drinking. And recent drinking, not lifetime alcohol consumption, was the strongest predictor of alcohol-related cirrhosis, the researchers reported online Jan. 26 in the Journal of Hepatology. “For the first time, our study points to a risk difference between drinking daily and drinking five or six days a week in the general male population, since earlier studies were conducted on alcohol misusers and patients referred for liver disease and compared daily drinking to ‘binge pattern’ or ‘episodic’ drinking,” said lead investigator Dr. Gro Askgaard, of the National Institute of Public Health, University of Southern Denmark. “Since the details of alcohol-induced liver injury are unknown, we can only speculate that the reason may be that daily alcohol exposure worsens liver damage or inhibits liver regeneration,” Askgaard added in a journal news release. For the study, researchers looked at data on nearly 56,000 people, aged 50 to 64, in Denmark. Participants filled out food frequency questionnaires and answered questions about their lifestyle habits, including how much beer, wine or hard liquor they drank each week. They were also asked to recall how much they drank, on average, in their 20s, 30s, 40s, and 50s. Of the total, 257 men and 85 women developed cirrhosis, the researchers found. Up to a moderate level of weekly consumption, wine appeared to be associated with a lower risk than beer and liquor, the researchers said. The same general trends were found in women, but no firm conclusions could be reached due to a lack of statistical significance, the study authors said. “This is a timely contribution about one of the most important, if not the most important risk factor for liver cirrhosis globally, because our overall knowledge about drinking patterns and liver cirrhosis is sparse and in part contradictory,” said Jurgen Rehm, director of social and epidemiological research at the Center for Addiction and Mental Health in Toronto. However, “the question of binge drinking patterns and mortality is far from solved,” he added, saying there may be genetic differences or other factors not yet discovered that also play a role. This story was published in Newswatch Times on January 23, 2016.